I'm going to come clean: this mani was a nightmare. But I think it was a bit self-inflicted because, if I'd really thought about it before starting, I would have gone about it in a different way. If you're going to try a lace mani, I'd suggest filling in the entire section you want to lace with white before adding the black. Repeat: Colour in the entire area you're going to use BEFORE adding the black. I copied the idea of starting with a swirl, from the Pin, and then added swoops of black as I went. It's not perfect, the lines are uneven, but when you're not staring right at them (haha), it still looks pretty good, even though it freaking took forever (and required copious amounts of wine, haha!). I'm really glad you did pink instead of yellow (I don't like yellow)! Very cute! This is so cute! It looks so professional!! I love it! Perfect for the spring time!! It still turned out look great though and the pink was a great choice! This is so so pretty! Looks like the headache of it was well worth it! 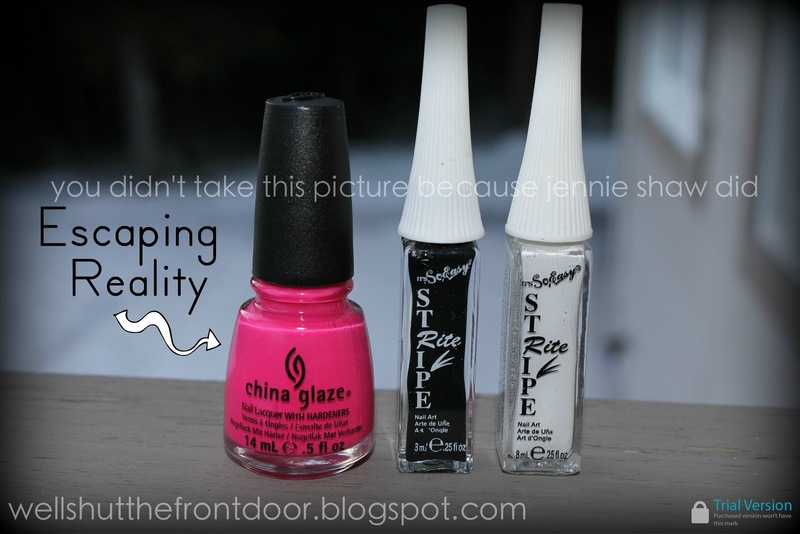 Linking up from The Nail Files, btw! you are out of control amazing. I've been wanting to try a lace mani, but I didn't know where to start-this helps! I love your nails! They always looks so beautiful! Seriously LOVE this manicure. You have such patience with doing your nails! I still think they look amazeballs. 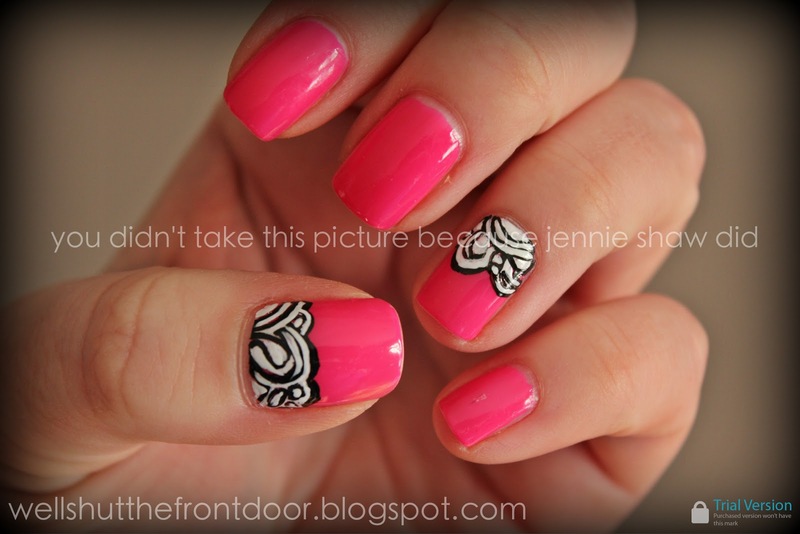 I'm definitely going to have to try out this mani.